I'm pretty new to the concept of non-punitive parenting. Finding my way here has been a long, difficult, and frustrating road for me, but I feel like I've finally come home! I'm going to share a little bit of my story with you today, but just the condensed version because there's something else I want to share with you too. I grew up in a very pro-spanking home. We were taught that spanking was God's plan, and the only way to raise kids to be Godly adults. So when I became an adult and started having kids of my own, I naturally carried that belief forward with me. Even as I started to question what I'd been taught about birth, breastfeeding, food, women's roles and just about everything else, spanking somehow slid under the radar, safe in it's little pigeonhole in my mind. I thought I was doing something good and "modern" by being open to using other tools too, and saying that different things worked for different kids, and maybe spanking wasn't right for everyone. I definitely thought it was still right for us though! A couple of months after my son was born, I became friends with Guggie Daly on Facebook. If you know Guggie, you know she's a strong advocate for anything relating to mothers' and child's rights. She's constantly sharing information and starting the most interesting discussions. I liked her! Finally- someone who believed the way I did about birth and breastfeeding! And she seemed to take things to the next level too- I learned so much from her those first couple of months. I also noticed that she was very much anti-spanking. I'd see her post things that spoke out against spanking, or tried to show a different way, and I thought it was a little misguided. I was okay with that though! I told myself that I didn't have to agree with everything that Guggie believed in to be her facebook friend. Just agree to disagree, right? I told myself that she just probably didn't know what the Bible said about spanking, or that she'd taken this hippie thing a little too far. When she'd post something about spanking, I'd usually chuckle to myself and move on. Until one day, what seemed like out of the blue, I started to struggle within myself about the issue. My heart just couldn't handle spanking my daughter anymore. I still believed in it in my head, but my heart couldn't handle it anymore- and I was totally shocked by that. I had no idea what was going on or what to do with those feelings. 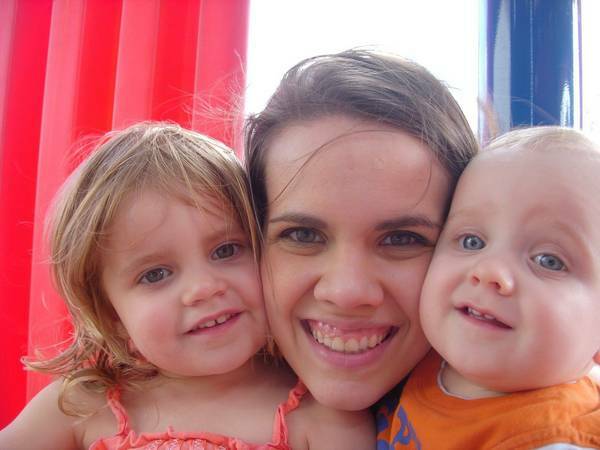 I felt like a horrible mother, and some days I felt like I just hated being a mom. I had so looked forward to having kids, and this was not what I expected at all. I lived in a miserable state of limbo, until one day I was on Facebook and Guggie had gone on a positive parenting posting spree again. I knew something about what I was doing had to change, so I took a chance and clicked on one of the links. And for the first time, something clicked in my mind. It was like a light bulb had been turned on. I truly believe it was the Lord that had lead me to that time and place. I finished one article, and clicked to the next, and the next, and the next. And I knew that something permanent had been done in my heart. "No, you need to stop making her cry." That cut me to my core. I do need to stop making her cry. And I am. I'm working every day to learn how to be a gentle, loving mother that reflects Christ's love to my children. I'm not perfect, but I'm learning and growing. And for the first time in a long time, I don't feel like a failure as a mother. Anna blogs at Momma on a Mission, where she shares her heart and her efforts to build a healthy and happy life for her family. She's blessed to have been married for almost 7 years, and to be a mother to a 2 year old son and 3.5 year old daughter. Anna's interested in all things attachment parenting, but her two biggest passions are birth and breastfeeding. She hopes to be a doula or midwife someday, and to help women during one of the most amazing moments this life has to offer. It is a lovely story, all through. Thank you for sharing it. 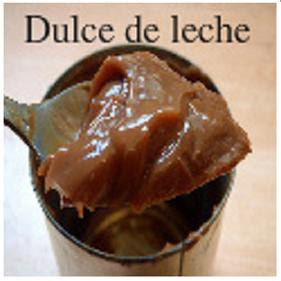 Thank you for sharing the guest post, Dulce! And thank you for sharing, Anna.... Your story at the end really stood out to me- I think I'll be running the words "No. You need to stop making her cry" through my head for a while, as I try to be the gently mama my kids need. Dulce, I've really enjoyed your parenting tools series! You've been an encouragement, as someone several steps ahead of us in the journey. It's nice to see how it's working out for you guys even with older kids.